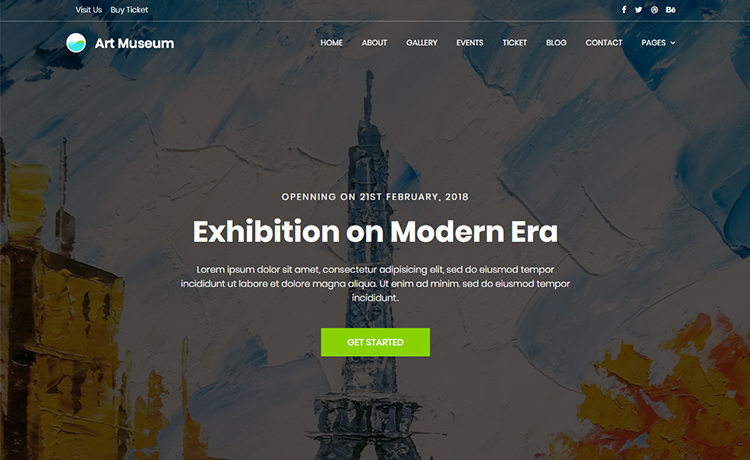 Do you want to get a free museum website template? Here you find a complete one which covers all your needs. It has multiple pages ready to deploy. In order to display arts, Art Museum free museum website template will help you with its responsive layout. Moreover, you can tell about your organization, showing photo gallery, sell tickets and a lot with multiple pages it offers. Besides that, it has ready element page to mix things up and blog pages to create more enthusiasm in your readers. Furthermore, there’s a documentation for the people who have no idea how to get along with a free Bootstrap template. Also, you’ll find modern features such as Google Maps, social icons, email subscription, and lightbox gallery. If you want more free website templates like this, go to our homepage. We recommend our quality checked section to get some of the tailored and polished HTML5 templates.